A fine writer and friend of mine, Chris Emmerson-Pace, pointed out once that fire is a recurring theme or motif in my fiction. I’ve always had some sort of strange interest in disasters—mostly firey ones—and I didn’t know why, even as I kept collecting books like Fire in the Grove and The Circus Fire—books that didn’t just sit on my shelf; books I devoured and defaced with research and notes. Now, though, because of The Goodbye Project, I’ve spent time processing and thinking about why it is I’m attracted to certain things. In the case of disasters, they’re metaphors for situations in life: something grand and beautiful—something light—can always fall into unrecognizable ruins—something dark (it’s probably the same reason I have an obsession with abandoned buildings). One of the most moving passages I’ve ever read which illustrates this appears in Ron Elliott’s Inside the Beverly Hill Supper Club Fire: “I glanced around the garden. At least 100 bodies covered the ground, making it look more like a battlefield than the lovely spot where sparkling fountains, pagodas, and flowers had saluted many a radiant, just married bride’s promenade. How well I could recall their beaming faces’ disclosure of the dreams alive in their hearts. Now the garden hosted the dead, their blank eyes staring unseeing; their dreams tragically and abruptly ended.” Such disturbing eloquence should serve as a reminder that each one of us needs to stop and cherish every single minute we’re here—because the next minute? We may not be. 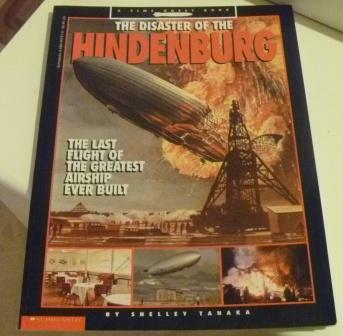 I don’t think I knew anything about the Hindenburg until I was sixteen. New York Times reporter Leonard Buder lived a couple of miles from me, and I don’t remember how I was lucky enough to get invited to his home one day, but it probably had something to do with my position as the high school columnist for the local newspaper. I remember him giving me a lot of good advice on being a reporter. But at that time in my life, I didn’t want to be a journalist. I was doing it because Dad said he wouldn’t pay for college for marine biology. So, I’m sad to say I don’t even remember what Mr. Buder’s wise words were. But I do remember something else—our entire discussion about The Hindenburg disaster. And here is where Dali’s Persistence of Memory comes in: I could swear, even to this day, that he pulled out a scrapbook and was showing me old clippings of the great zeppelin in flames, and the pictures were burned into my memory. However, given how he would have been 8 or 9 at the time of the event, I don’t know if this memory is something my mind may have fabricated—the famous photo of the thing going down in flames is everywhere. It’s possible we simply talked about the Hindenburg as a major turning point in media coverage of events, and I made an association later. It really doesn’t matter, though, because after that I spent some time in the library with the microfilm and microfiche, reading all the material I could find on the disaster and its aftermath. 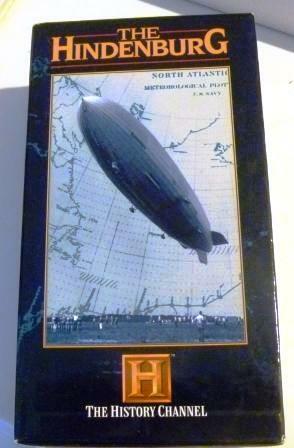 Over time, my interest in the airship waned—and most of the books I read on the subject I checked out of the library—so there isn’t much in my collection on that subject. In addition, several dedicated, passionate people out there host websites that really should be turned into books—they’re well-researched, well-written, and fascinating. 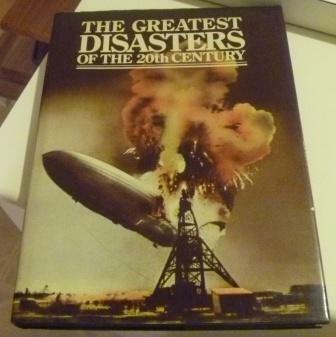 My two favorites are Patrick B. Russell’s Faces of the Hindenburg and Daniel Grossman’s Airships: The Hindenburg and other Zeppelins (links to these are below the photos). So in essence, I feel as though I can re-visit trusted sources anytime I might be curious. Here’s the scoop on what I’m letting go; I’ve put some links to information on the Hindenburg disaster if anyone is interested. Published by Scholastic, this book is intended for younger readers. I picked it up because I liked the extensive detail of the drawings. Posted on July 15, 2011, in The Goodbye Project and tagged Clearing Clutter, Feng Shui, Goodwill, Hindenburg, Hoarders A&E, Hoarding, How to Get Rid of your Junk, Pack Rat. Bookmark the permalink. 1 Comment. Brief update note…I’m watching a show called “What Went Down” on the History Channel right now, and The Hindenburg and its demise is the subject of the episode. The panel of experts just discussed the disaster’s impact on the media–it was a journalism field day, the beginning of a whole new media era. There was live footage–the next day, people filled the movie houses to see everything happen live–and that was the first time something like that had ever happened. There were photographers everywhere for the landing, so there were plenty of still shots, and Morrison’s report of the disaster as it happened was also a first. So that explains why Mr. Buder and I were talking about it, and the scrapbook he showed me probably wasn’t because he was there, but because it was an important media event that he would have remembered from his childhood–one that possibly might have even been the thing which inspired him to become a journalist.